The morning of the Cricklade half marathon, 2014. A lack of pre-race nerves meant minimal pre-race “night before” preparation, which led to me dashing around the kitchen on Sunday morning, eating porridge with one hand whilst grabbing drinks and snacks with the other. The half full box of gels I’d been saving turned out to be mostly out of date, but the two I’d managed to salvage had completely disappeared overnight. 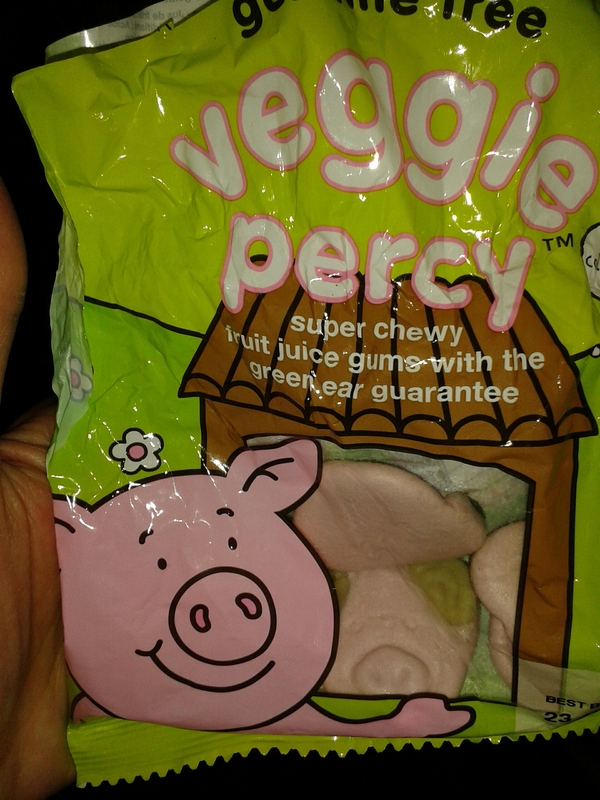 As a last resort I grabbed the remains of a bag of Veggie Percy Pigs as I shot out of the house. Cricklade is a very pretty little town that I hadn’t visited before, and although I parked about fifteen minutes walk away from the race HQ I simply followed the other runners to find it. (Runners are easy to spot on race day). At the start I was spotted by a good friend of mine who was doing the 10K. It was lovely to have a hug and a ‘good luck’ when I’d travelled there on my own. I lined up by the start, and by the time I’d contemplated how adrenaline stops you feeling cold when you’re dressed in shorts and t-shirt in 7 degrees centigrade, we were off. For a small half marathon it wasn’t surprising that the roads weren’t closed. What was surprising was how busy it was. Runners, cyclists, horses as well cars made for an interesting route. The 10K runners set off after the half marathoners, so we had a stream of faster runners passing us. Although distracting, it did mean I got to see my friend again and have another quick word. The course was an out-and-back route with a couple of loops but despite this it wasn’t dull. 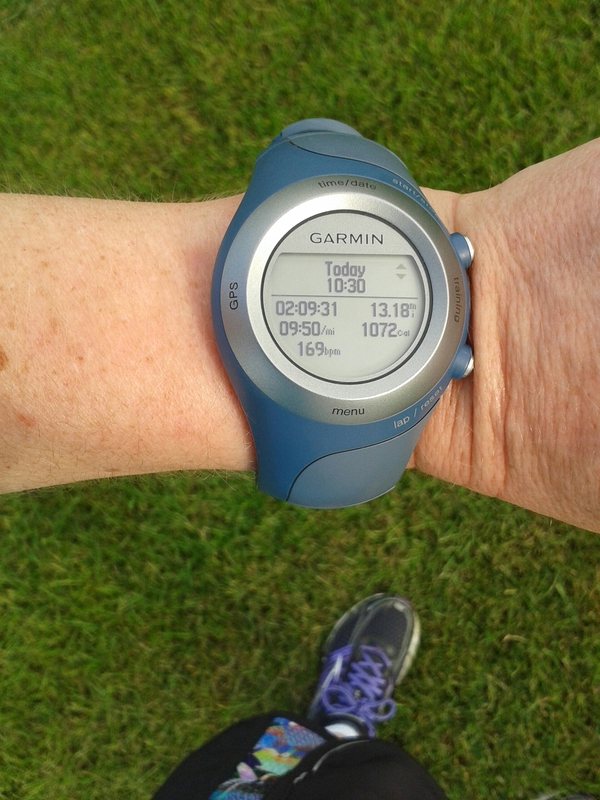 We got to see the leaders heading back whilst we were still plodding out, and we got to run between the lakes of the Cotswold Water Park as well as through pretty villages and under autumnal trees. The water stations were at interesting places, coming add they did at 1.5 miles, 5.5 miles, 7.5 miles, 10.5 miles and then 11.5 miles. I knew I would need water to wash my Percy Pigs down, so from the 5.5 mile stop onwards as soon as I saw a sign saying ‘Drinks Ahead’ I grabbed a couple of Percies from my pocket, stuffed them in my mouth and chewed frantically whilst taking a cup of water. The disadvantage to eating sweets was that I really needed the water as my mouth felt so sticky, but sugar obviously helped because I was feeling strong, and only felt tired coming up to mile 9, a distance that I always struggle at. A good talking to myself soon sorted that out. As I was finally heading back to Cricklade I could see the church spire above the trees and houses and I could feel it calling me to the finish. The slight incline up the High Street felt like an enormous hill coming as it did in the last mile, but really it was the only slope on the course. 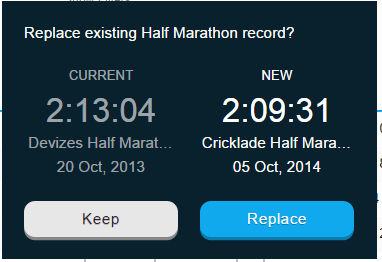 I knew my time was good, but I was amazed when I stopped my Garmin and saw 2:09:31. 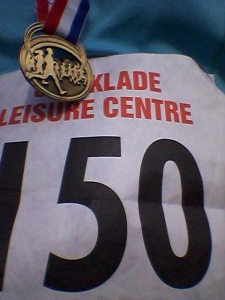 I had finally beaten my PB from last year’s Devizes Half and taken 3 minutes and 33 seconds off my time. As I slowly walked around the field at the finish line to stretch my legs I confess I had a little tear in my eye. 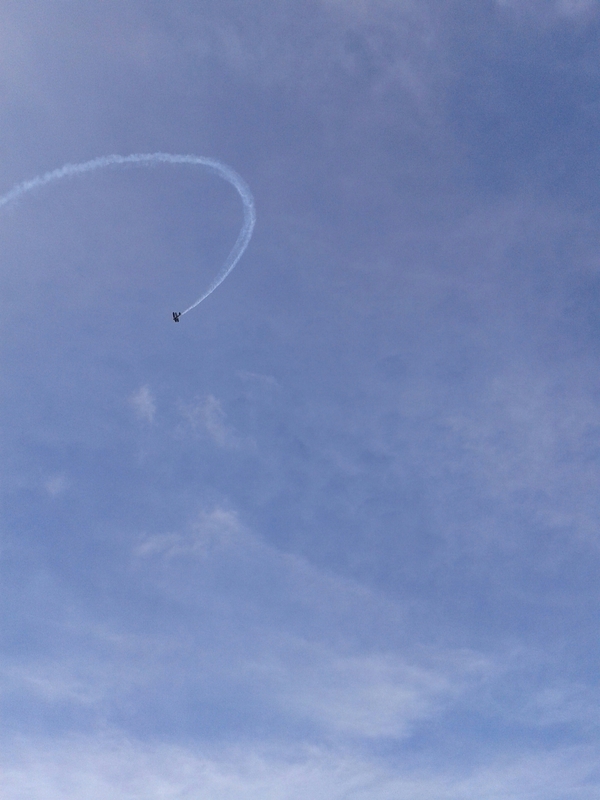 I blinked hard, looked up, and saw a small plane performing acrobatics over my head. Thanks for the celebration, and a huge “Well done” to me AND to Percy Pig!